Cleaning, care and maintenance of atomizers is another subject that holds no definitive answers. Some people clean their attys once a day, others do it weekly. Some people just blow them out and let them dry upside down on a paper towel, others run them under hot water or soak them in pure grain alcohol for a few minutes first. Again this is an area where you will have to exercise due diligence and find what suits you best. So just do what suits you best! If you really have special preference for Nautilus, reduce the vaping times and don't always power it at high wattage output. 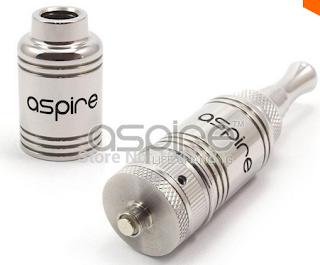 In terms of the longevity of this atomizer, you know it really depends on how you utilize and it is like light bulbs and it will burn out in time. Some people use it for a very long time(3 months) and some for a short time(2 weeks or less). You should never rely on it being in good state forever. If you are having a need for Nautilus, visit the official authorized distributor website to get a premium one for quality guarantee.